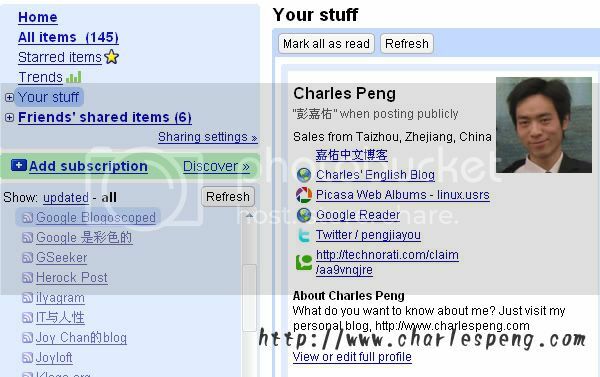 Well, this is my public profile page on Google, I firstly started to know and completed my Google Profile in Google Reader, where there is a “Your Stuff” submenu, click it and you can view or edit your profile. Or you can also just click here to view your profile or edit it. Blogoscoped said yesterday Google recently published a Sitemap file containing the URLs of public Google Account profiles. Now, they’ve also started to offer a special profile search. You can access it from the bottom of your Google profile, or you can enter your keywords in a box to search your profile on Blogoscoped here. 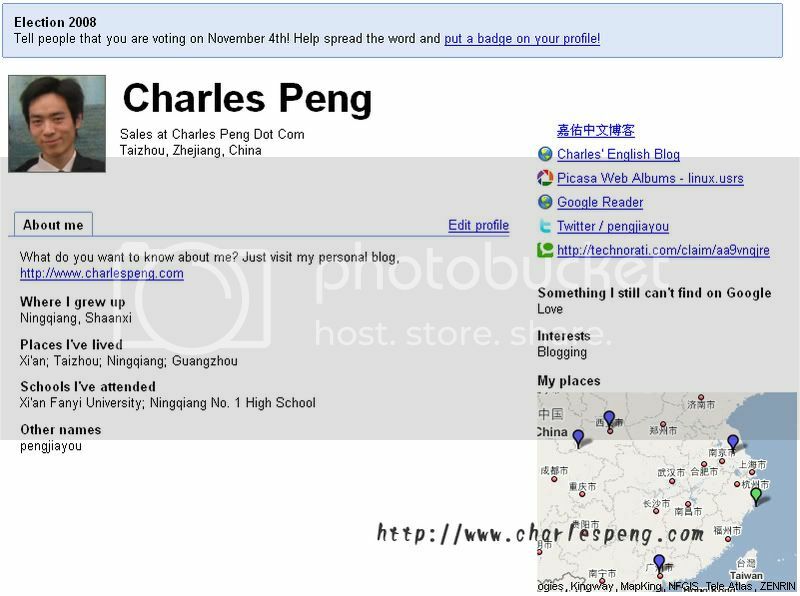 Oh, my name “Charles Peng” seems to be a unique one on Google public profiles. 😀 Try to input your name and have a try here.